A 7-inch Samsung Galaxy Note Benchmarked? CES Release? A mystery tablet has been benchmarked over at GLBenchmark. It goes by the product code GT-N5100, and was previously spotted at the DLNA (Digital Living Network Alliance, a trade body that makes sure products play nice with each other). So what of the new Note? Well the tablet — which I’d wager would be called the Galaxy Note 7.7, going on past naming conventions — has a screen resolution of 1,280×800-pixels. If the screen is indeed 7.7-inches across, that’d give it a pixels per inch count of 196. Which isn’t Retina display territory, but isn’t too shabby. Inside is a quad-core 1.6GHz processor, and it’ll run Android 4.1.2, which will be replaced by Android 4.2 when the device launches. Which is good news for fans of Jelly Bean. I think we can expect an announcement at CES in January, or at the latest, Mobile World Congress at the end of February. Samsung has launched an all-out assault on the sizes, with devices ranging from the original5.3-inch Galaxy Note up to the Galaxy Tab 2 10.1 and Galaxy Note 10.1. Many (myself included) thought this would be way too confusing for consumers, but it seems to be working. Of course Samsung is a very well-known brand thanks to its handsets flying off the shelves, which must help drive sales of its tablets. 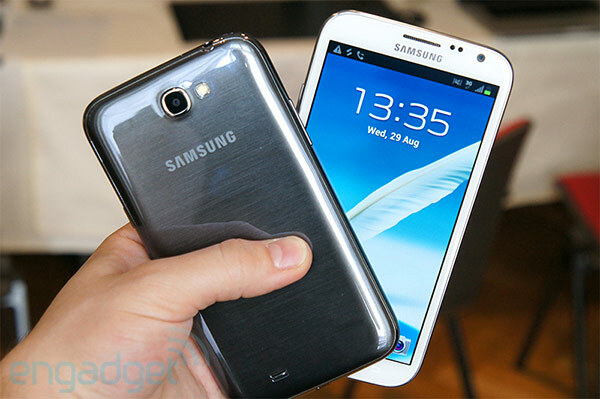 Its Galaxy S3 has shipped 30 million units, after all. Samsung Galaxy Note 10.1 – Are Stylus’s Coming Back?